This week saw SNK of America (owned by Japanese company Aruze) quickly shutdown operations across USA pulling all software and hardware back from retailers. 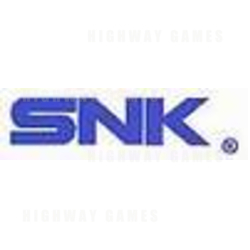 It was a shock to most as SNK Entertainment had recently signed a 5 year lease with all staff unaware of Japan's plans. So swift was the movement, all sales were halted and every retailer is being contacted and asked to return stock for full refunds. Their very popular website www.snkusa.com was taken offline without explanation leaving many fans looking for answers. "In a move to regroup and reevaluate its worldwide strategy, SNK Entertainment has ceased distribution of Neo Geo Pocket Colour hardware in the US and Canada effective immediately". "Aruze is a very successful company in Japan, and felt that the overall sales in the US just wasn't justification enough to keep the unit going – especially without the quantity of software to sustain it. Some mistakes were made, including not preparing third party developers properly early in the life of the system's release. Other problems sprout from Japan -- when the purchase was in place, several developers felt that the creative control at SNK was lost, and left the company. Some games, like Match of the Millennium 2, were in the works, but without a developer to helm the project those games were lost". Gamefan magazine mentions there is a clashing of heads at SNK Japan where the development teams for the popular King of Fighters series are having problems with its parent company, Aruze. Rumours indicate that the King of Fighters team is apparently leaving SNK of Japan to form their own company.